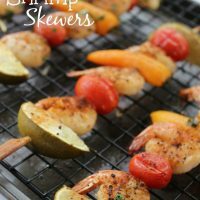 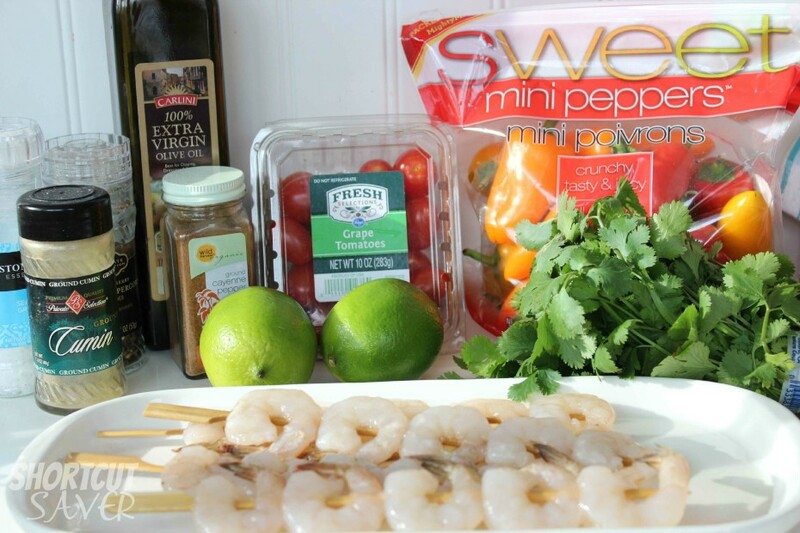 If you like seafood and veggies, try this Southwestern Shrimp Skewers. 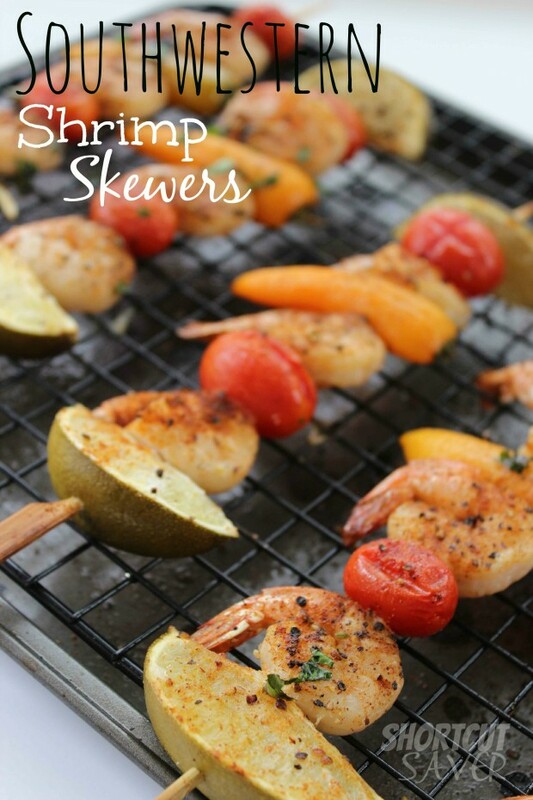 They are easy to put together and cook on the grill with a little bit of a kick to them. 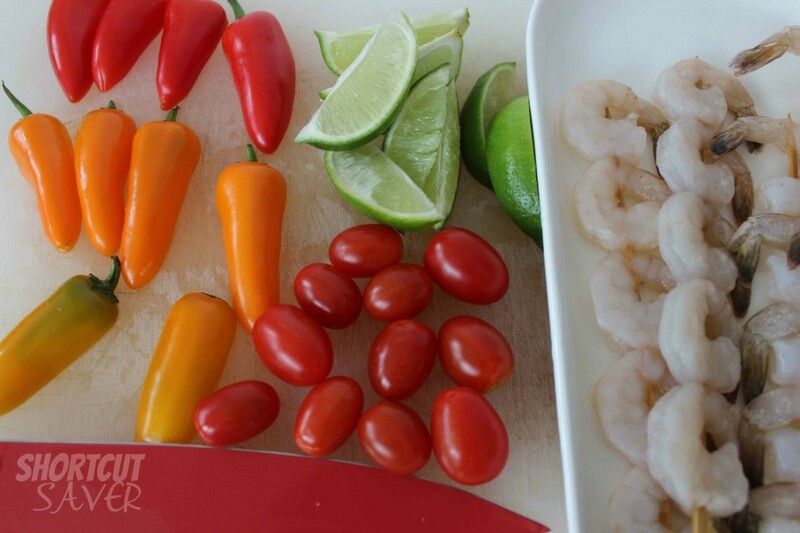 To make the meal complete serve it over rice and garnish with cilantro. 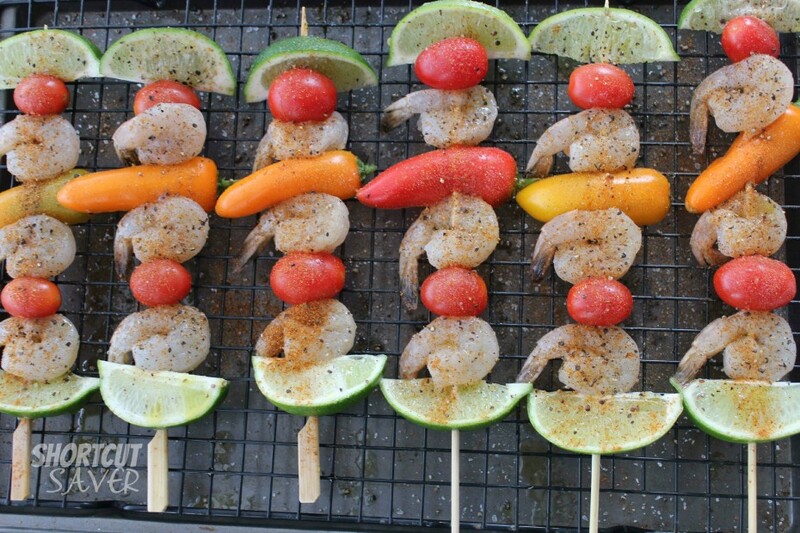 Place in order: lime wedge, shrimp, tomato, shrimp, pepper, shrimp, tomato, then lime wedge on each skewer.